Thanks to a structure that mostly consists of glass, conservatories were traditionally used as greenhouses or sunrooms and regularly housed a variety of citric plants. Nowadays, they’re the perfect solution for creating wonderfully bright and cosy living spaces. Stylish, comfortable living that can be adapted to suit any style and budget requirements in St Albans, Hertfordshire and North London. 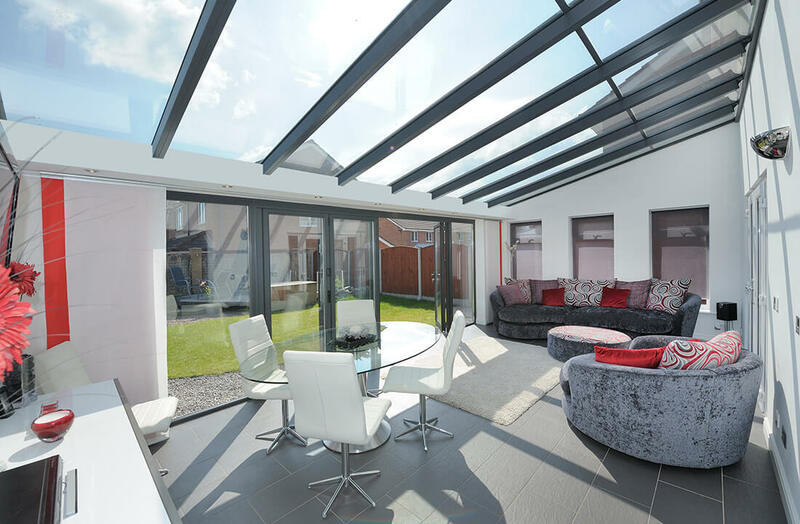 If your ideal living space is one that maximises the use of light, a conservatory is the home-improvement solution for you. Enjoy uninterrupted views of your outdoor area and if opting for a glass roof, take in panoramic sky views also. Because the glass we use is thermally efficient and incredibly tough, you can do so this in an area that is both warm and secure. 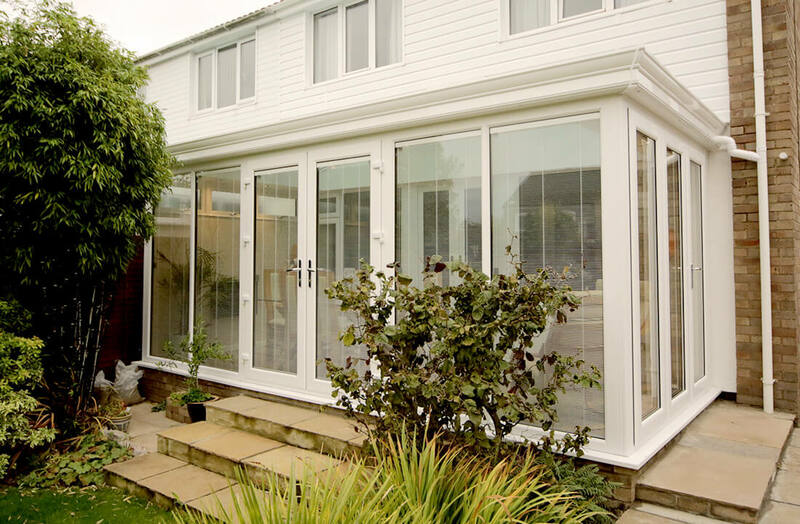 Our conservatories are constructed using either aluminium, uPVC or timber frames. Although, there are a huge variety of other areas available for you to customise, such as the style, windows, doors and colour. The beauty of conservatories is that they’re suitable for virtually any home. Traditional styles, such as Victorian and Edwardian will look great upon any period property, whilst the modern lean-to style is great for adding a contemporary touch. However, either style can be adapted if desired. A truly bespoke service and a hassle free method for increasing your Hertfordshire living space. As we offer a bespoke design service, a new conservatory from Budget Windows will be created to your exact specifications. We take care of each part of the design process, meaning obtaining a new conservatory can be done so with the minimum of hassle too. In cases where planning permission is required, we’re also happy to lend our advice about how best to obtain it and can even provide tips for drawings. Which material is right for your conservatory may depend on your stylistic and practical requirements. 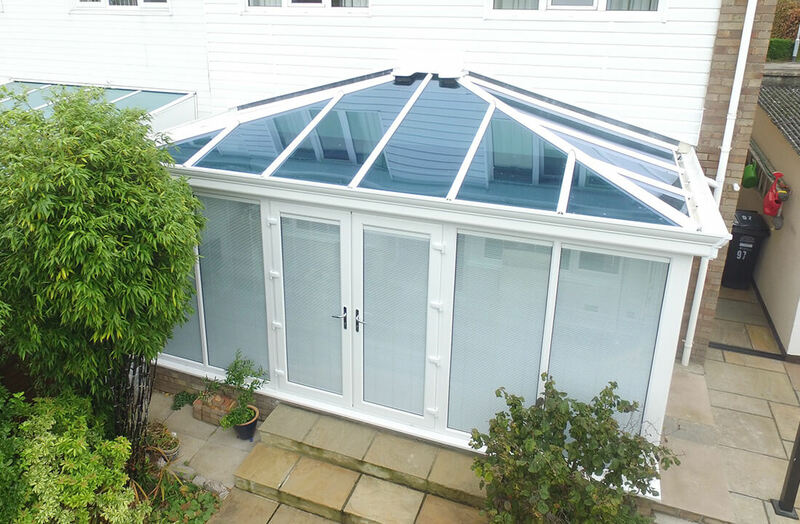 If you’re after a more contemporary looking conservatory, aluminium might be your best option. Aluminium frames are slightly thinner than the other materials and are exceptionally durable too. uPVC offers fantastic insulation qualities and comes with the added bonus of being incredibly easy to maintain. To clean uPVC, the only things you’ll require are some warm, soapy water, a non-abrasive sponge and a little bit of elbow grease. Our timber conservatories are available with either hardwood or softwood frames. Hardwood frames are slightly more durable than soft, however our softwood conservatories can be painted in almost any colour. The framing of your conservatory is available in a huge number of shades and finishes. 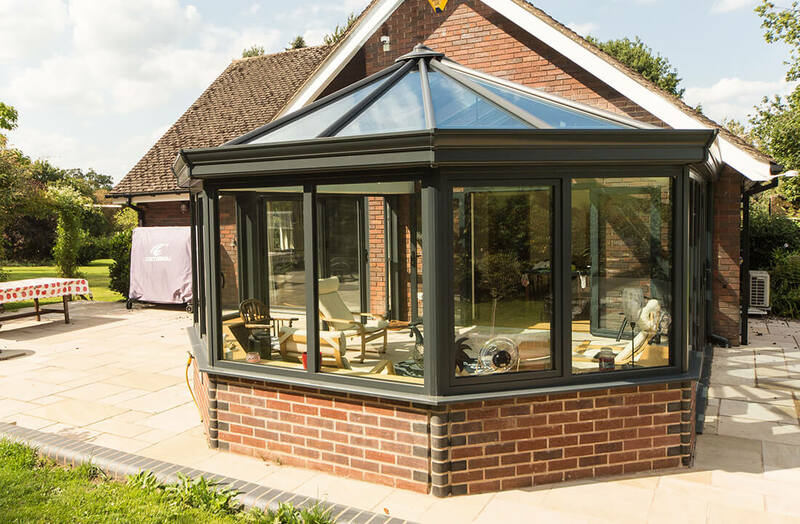 Whether you’re looking to make your conservatory stand out with something incredibly bold or look more subtle, we have a colour option for either purpose and many others. Aluminium framing from Budget Windows can be finished in a large selection of colours, although that is not to say uPVC or timber frames are unable to be customised quite so much. In fact, uPVC can also be finished in plenty of different shades. Plus, timber can be painted to virtually any colour. One of the advantages of timber over the other materials is that it can also be repainted, which can come in handy if redecorating your home in years to come. If you’re looking to maximise the thermal performance of your conservatory, we recommend one of our tiled roofs. 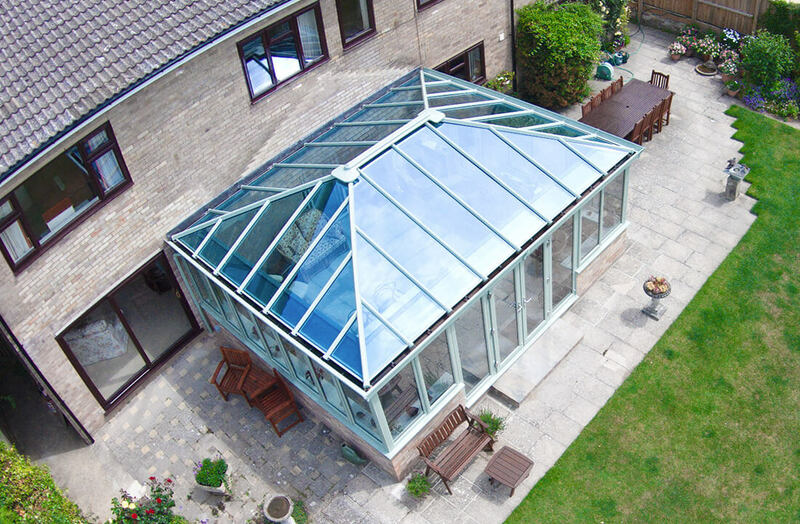 However, if maximising the amount of natural light is your main concern, one of our thermally efficient glass roofs will do the trick. The doors and windows that we fit upon them are also completely at your discretion. Suitable door options include sliding patio doors, French doors and bifold doors. Additional considerations like the electrics, flooring and window ledge are also up to you. Although we offer a bespoke conservatory design service, you can also choose from a selection of popular conservatory styles. This includes Victorian, Edwardian, lean-to, gable-end and p-shaped conservatories. 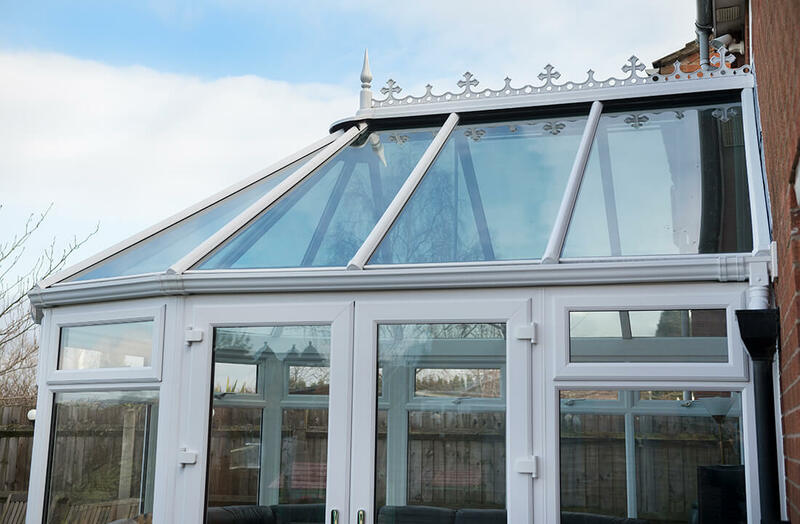 One of most popular and recognisable conservatory styles, Victorian conservatories feature a bay front, pitched roof and decorative roof ridge. Incredibly versatile, they can be adapted to suit almost any type of property. Featuring a rectangular shape and a four-sided hipped roof, this conservatory style allows you to maximise interior space. This flexible design is great and provides you with an extra room you can use for any purpose. Lean-to conservatories are known for their single sloped roofs and rectangle shapes. The longer wall of the conservatory is adjoined to the house and they can be a great option for fitting into tight corner spaces. 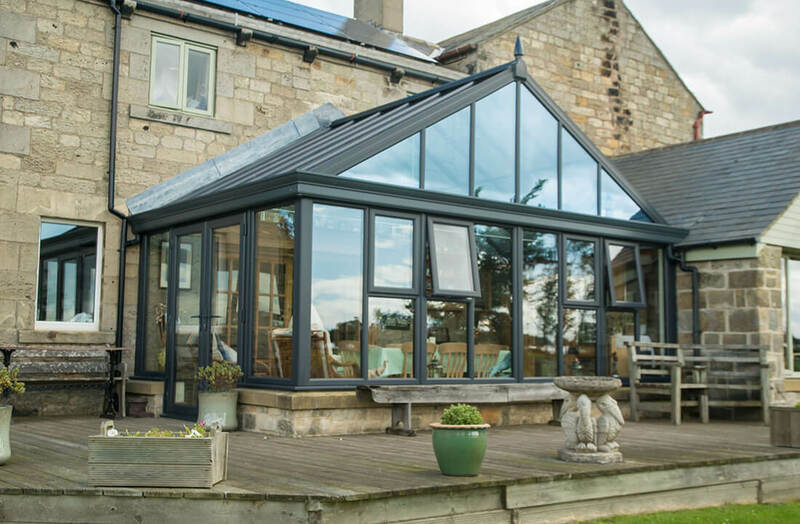 This type of conservatory can be recognised by their rectangular floor lay out and triangular front, which resembles the gable roofs fitted on most homes. They have front windows so make the conservatory feel ultra-bright and spacious. 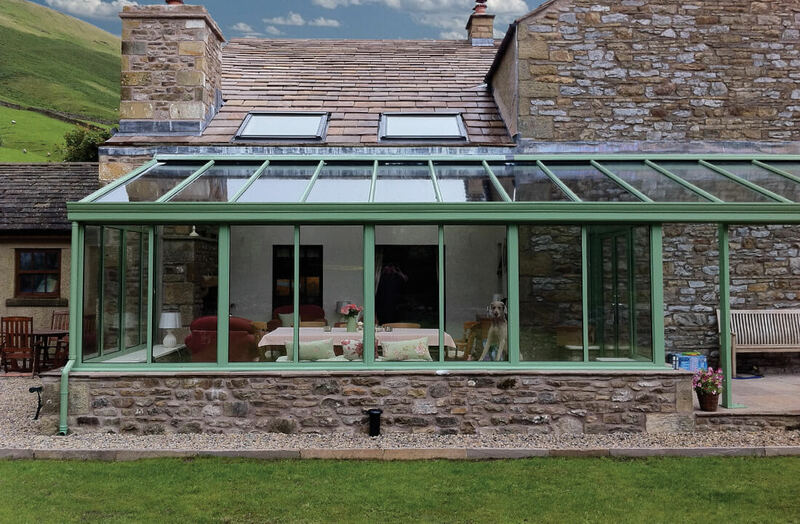 These combine a Victorian conservatory and a Lean-to conservatory together to create a large space that benefits from two distinctive styles. With so much extra space at your disposal, a variety of ways to use the conservatory become available. 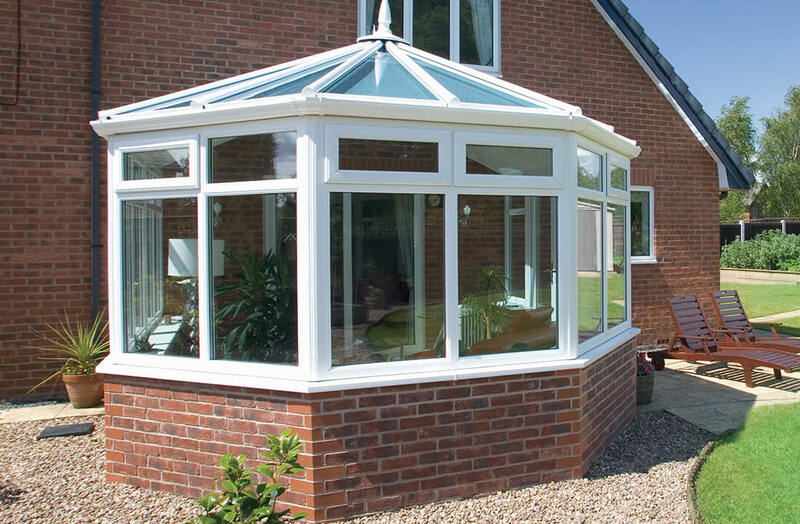 A combination conservatory, they feature a central projection which can be Victorian, Edwardian or Gable in style. Great for larger properties, you can create two distinct living spaces within one room.